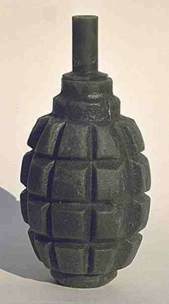 We are no longer selling replica rubber grenades. Grenade molds and masters are for sale to anyone interested in continuing the production. I will be shutting down the grenades@sonic.net, so please contact me at timdp@sonic.net for more purchase information. 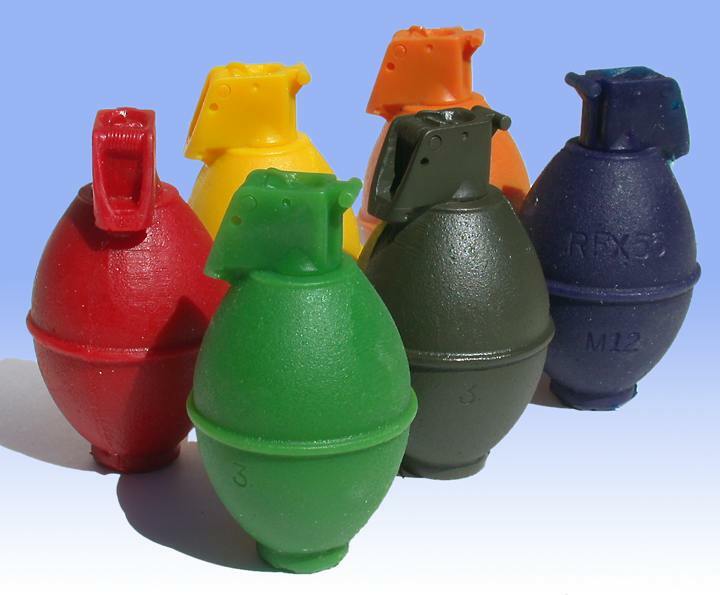 All grenades are made of solid polyurethane rubber and are molded from original grenades except as noted. Grenades are supplied in "as thrown" condition as shown in the photos - no spoons or pins are provided. Click on photos to see a larger photo. Master model for this grenade provided by Gmax. The polyurethane rubber RGD33 is reinforced with a .5" wooden dowel that runs almost the full length of the grenade. Want to join the World War II Reenactors Web Ring?